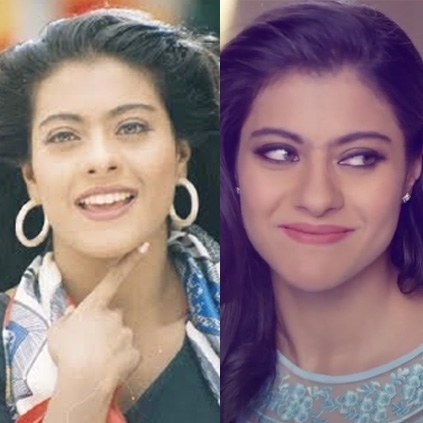 BREAKING: KAJOL TO MAKE K-TOWN COMEBACK AFTER 19 YEARS! We have a breaking news for you all. Yes, the ravishing Bollywood beauty Kajol Devgan will apparently be making a comeback to Tamil films after a hiatus 19 long years. Her last Tamil movie happens to be Minsara Kanavu which released in 1997. We are told that Kajol has been approached to play a pivotal role in Dhanush’s upcoming film VIP 2 directed by Soundarya Rajinikanth. The ‘strawberry kanney’ actress apparently liked the role that was offered to her and has allegedly given a green signal to star in the film. Reportedly, she has been offered a whopping sum of more than 4 crore to feature in the film. An official confirmation regarding this is still awaited! Dhanush Starring VIP 2's Important Dates And Title Will Be Announced In The Month Of October. VIP 2 To Release For Diwali ? People looking for online information on Dhanush, Kajol, VIP 2 will find this news story useful.